The Crypto Summit | Exclusive and the only one of its kind. Conference for experts, affiliates and insiders of the crypto community including workshop for beginners. Exclusive, limited and the only one of its kind. There’s a great demand in crypto currencies - And if you’re interested, the Crypto Summit is your must-go-to event. Its founders combine expertise with many years of experience in the business world and event industry. Be part of the one-of-a-kind business meeting of the crypto and blockchain community. Build strong business relationships, attend networking events, and get the most out of experts’ presentations and success-stories. Enjoy doing business in a first-class setting with beautiful surroundings, interesting people you can connect with, delicious foods, and stellar entertainment. At the same time and hotel, one of Europe’s most exclusive business events for the interactive entertainment will also be hosted, the Eurowebtainment. You will be able to network with its participants as well. 3-day conference focusing on crypto currencies and blockchain. Meet experts and insiders of the European crypto community on one of the world’s most beautiful islands, Mallorca. Why come to the the Crypto Summit in May 2019? Bring together industry leaders, business decision makers, investors and entrepreneurs to collaborate, pool sources and shape future developments. Two visionary key-note speakers and internationally recognized presenters will share their insights about current issues, enterprise implementation and case studies as well as existing and future solutions. The conference covers topics ranging from economy and finance, crypto currencies and trading, ICOs simply explained and how to build an ICO, technology and infrastructure, ad networks, affiliate / webmaster / marketing, payments, media and interactive entertainment to laws and regulations and more. Specifically designed for newbies. Learn all crypto and blockchain basics. And how to set up an ICO. Accelerate your business contacts by participating in our unique networking sessions and events. Experts Workshop for a limited number of participants only! There will be a welcome reception, welcome G2G-party, gala buffet and pool party (with shows and live music) together with EWT participants. Registration will be handled by our partner TicketPay. Please follow the appropriate link below. Our venue will take place in the elegant 4* urban resort Melia Palma Marina, located at the seafront promenade of Paseo Maritimo with views of the bay and cathedral. Book your room now at the venue hotel and benefit from special Crypto Summit rates. The rate is only valid when also registering for the Crypto Summit. 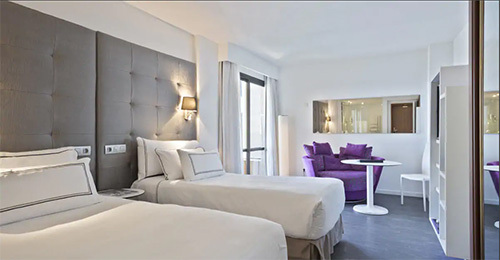 Bright, outward-facing rooms with 25 m2 are equipped with everything you need to make your stay in Mallorca truly memorable, including air conditioning / heating according to season. Equipped with a private terrace on which to enjoy the Mediterranean climate. 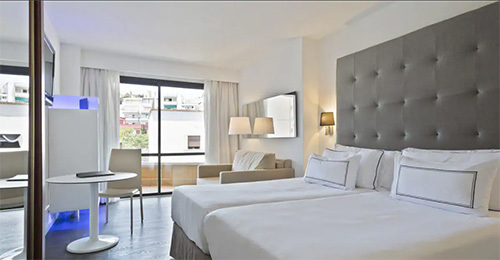 Located on the side of the hotel and enjoying partial views of the Paseo Marítimo, our recently renovated, bright Premium Rooms measure 25 m2. Decorated with an elegant, contemporary design with a striking modern flair, these rooms are perfect for both work and play. Equipped with individually controlled air conditioning / heating, depending on the season, private terrace to enjoy the Mediterranean climate. Enjoy endless views of the Mediterranean Sea, the cathedral and the Bay of Palma from your private furnished terrace. Our bright Premium Rooms Sea View are located at the front of the hotel. They have an elegant contemporary design with striking modern touches. Equipped with a private terrace on which to enjoy the Mediterranean climate. 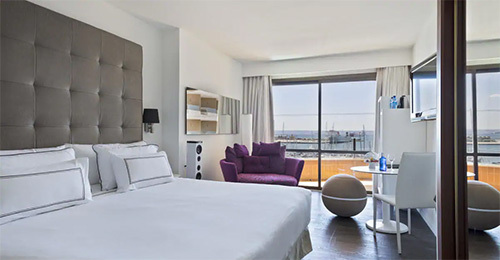 Imagine enjoying spectacular views of the sea, the port and Palma Bay from your room terrace. Sunrise every morning in a unique Mediterranean environment. This room also features the distinguished The Level services to make your experience truly unique. Please follow these instructions to have your advertising material delivered to the venue hotel. Please mark your delivery clearly visible with "TCS / TheCryptoSummit 19"! Please also write down your companys name. If your delivery consists of room drops, please mark the package clearly and unmistakably. 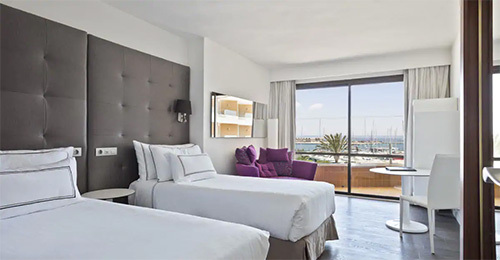 The luxurious 4-star Melia Palma Marina is the venue hotel, exclusively available for members of the Crypto Summit - on Mallorca on this particular weekend in May! You’ll find the most beautiful harbour venue in Palma and its surrounding. Would you like to get notifications? Present your company and/or your product at the Crypto Summit Mallorca 2019. E-Mail: [email protected] or per phone +423 235 4016. For further Sponsoring possibilities, such as Networking Event Sponsor, Official Party Sponsor, Wristbands, etc. please contact us directly E-Mail: [email protected] or per phone +423 235 4016. We reserve the right to change the content of the website, to expand or delete content and either temporarily or permanently to shut down the website. Owner of all content usage and digital image rights is Givag AG. We take no responsibility for the information contained on our website in terms of timeliness, accuracy, correctness or completeness, and accept no liability for damages that may arise from the use of our website. We have no influence whatsoever over the content or set-up of websites from other providers, which are linked to our website. We expressly disassociate ourselves from any content and set-up arising from linked websites including all subsequent links and webpages respectively and accept absolutely no liability for them. The content of third-party websites is not part of our remit or service. We regard it as our priority task to maintain the confidentiality of the personal data submitted by you and to protect them from unauthorized access. Hence, we take utmost care and apply latest safety standards for guaranteeing maximum security of your personal data. As a company under private law we are subject to the stipulations of the European General Data Protection Regulation GDPR and the data protection regulations of your EU Member State. We have taken technical and organizational measures for securing that the data protection provisions will be observed both by us and by our external service providers. These data are used for monitoring and managing performance and reliability of the web servers. The analysis of the data is in the legitimate interest of GIVAG AG. The legal basis is Article 6(1) sentence 1 lit. f GDPR. In addition to the aforementioned data, cookies are stored on your computer when you use our website. Cookies are small text files that are stored on your hard disk in association with the browser you are using and through which the body which sets the cookie transmits certain information. Cookies cannot run programmes or deliver viruses to your computer. They serve to make the Internet offering more user-friendly and effective. Transient cookies are automatically deleted when you close the browser. This especially includes session cookies. These store a so-called session ID which assigns the various requests made by your browser during the joint session. This allows your computer to be recognized when you return to our site. Session cookies are deleted when you log out or close the browser. Persistent cookies are automatically deleted after a specified period, which may differ depending on the cookie in question. You can delete the cookies by going to your browser's security settings at any time. Third-party cookies are not stored by GIVAG AG, but by third parties on the user’s computer. They can be read during a new website’s visit on the computer of the sales partner. In contrast to cookies used by GIVAG AG itself, these are service providers mostly collecting advertising-relevant information about users. You can configure your browser settings according to your needs and, for example, refuse to accept third-party cookies or all cookies. If you do not wish the Flash cookies to be processed, you must install an appropriate add-on, e.g. "Better Privacy" for Mozilla Firefox (https://addons.mozilla.org/de/firefox/addon/betterprivacy/) or the Adobe Flash killer cookie for Google Chrome. You can prevent the use of HTML5 storage objects by using the private mode in your browser. We also recommend to regularly deleting your cookies and your browser history manually. Please note that if you deactivate cookies you may not be able to use all functions of this website. In the course of an enquiry through our contact form, only the personal data communicated by you will be collected and processed. The data submitted by you in the course of an enquiry shall exclusively be collected, processed and used for handling your requests. This also includes the transfer to the Internet provider commissioned with the provision of our Internet presence. In this context, GIVAG AG follows the principle of data minimization. It only communicates the data absolutely necessary for the specific processing. Furthermore, the data is used for conducting the communication with you. GIVAG AG shall not pass on your personal data to third parties without your express consent that you can revoke at any time. GIVAG AG shall store these data until revocation of the consent. This data processing is based on Art. 6(1) sentence 1 lit. a GDPR in conjunction with your given consent. The transfer of customer data to third parties is only to the extent that is necessary for the contract. We also use external service providers (processors) for the execution of the contract. Separate contract data processing contracts have been concluded with the service providers to ensure the protection of your personal data. This data processing is based on Art. 6 (1) sentence 1 lit. b GDPR for the execution of the purchase contract. This website uses Google Analytics, a web analytics service operated by Google Inc., 1600 Amphitheatre Parkway, Mountain View, CA 94043, USA. Google Analytics uses so-called "cookies". These are text files that are stored on your computer and that allow an analysis of the use of the website by you. The information generated by the cookie about your use of this website is usually transmitted to a Google server in the United States and stored there. Google Analytics cookies are stored based on Art. 6 (1) sentence 1 lit. f GDPR. GIVAG AG has a legitimate interest in analyzing user behavior to optimize both its website and its advertising. With your consent, you can subscribe to our newsletter. To register for our newsletter, we use the so-called double opt-in procedure. This means that after you have registered, we will send you an e-mail to the e-mail address in which we ask you to confirm that you wish to receive the newsletter. If you do not confirm your registration within 24 hours, your information will be blocked and automatically deleted after one month. 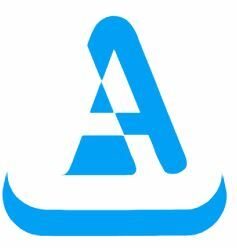 In addition, we store your IP addresses and times of registration and confirmation. The purpose of the procedure is to prove your registration and, if necessary, to clarify possible misuse of your personal data. Mandatory information for the transmission of the newsletter is solely your e-mail address and your name. After your confirmation, we will store this data for the purpose of sending you the newsletter. We store and process your data until you revoke your consent. You can revoke your consent to the receiving of the newsletter at any time and unsubscribe from the newsletter. You can declare the revocation by clicking on the link provided in each newsletter e-mail or by sending a message to the contact details stated in the imprint. The legal basis for this data processing lies in Art. 6 (1) sentence 1 lit. a GDPR, based on your consent. For optically improved display of the font we use so-called web fonts ("Google Fonts") provided by Google LLC, 1600 Amphitheater Parkway, Mountain View, CA 94043, USA. These are provided by Google (http://www.google.com/webfonts/). To do this, when you visit our page, your browser loads the required web font into your browser cache. If your browser does not support this feature, the text will be displayed in a standard font. You can set your browser so that the fonts are not loaded by the Google servers, for example, by installing add-ons such as NoScript or Ghostery for Firefox. If your browser does not support Google Fonts or you block access to Google servers, the text will be displayed in the system default font. This data processing is based on Art. 6 (1) sentence 1 lit. f GDPR for the protection of our legitimate interests. Moreover, you always have the right to bring a complaint regarding our data processing acts to the responsible supervising authority. Your responsible supervising authority is that of your place of residence. Our offer basically aims at adults. Persons under 18 years of age should not submit personal information to us without the consent of the parents or guardians. Hype or not? How likely is success? Crypto currencies: Simply another investment opportunity or truly the future? What industries will or would profit most? What does it take to create a crypto currency? After a career in the financial sector in the City of London he has been in the Telecoms sector since 1995 specialising in value added services. 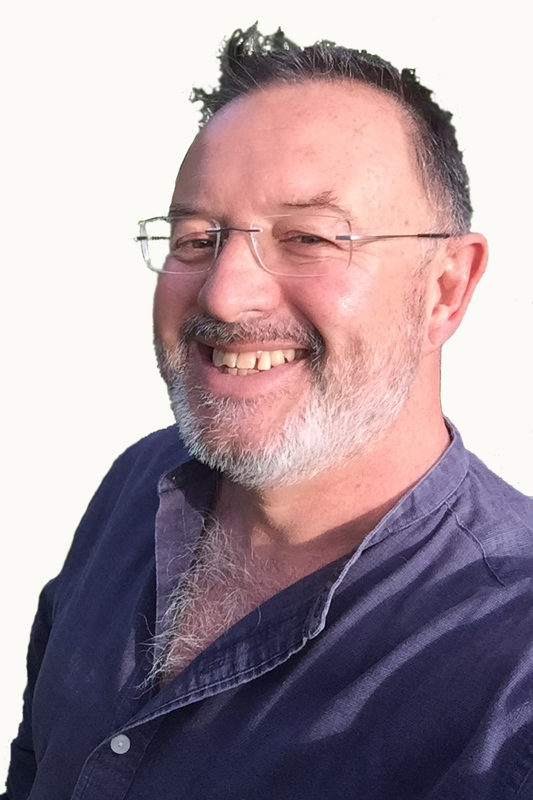 Tim has extensive experience in domestic and international voice, SMS and data. He has an impressive record of putting together specialist teams and has brought many major products to market. 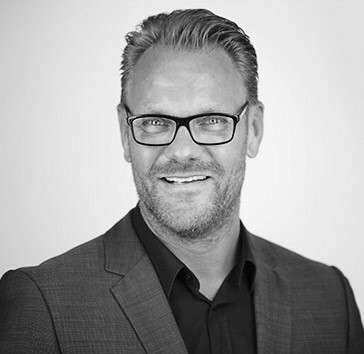 He is one of the founding partners at Arribacom and acts as CFO for the Group. He is also CEO of Felix Telecom. He has worked in North and South America, Europe, Africa, India and Asia and has a deep understanding of international telecoms, finance and the practical application of new technologies to the real world markets. He is currently working on launching OHMz as an ICO and has an interest in 3 other ICOs that are in various stages. 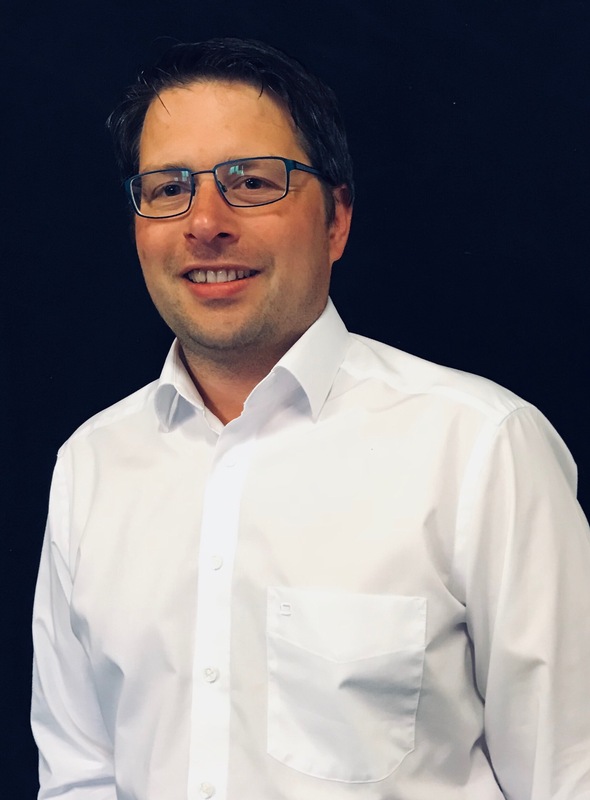 Since 1997 Frank Erhardt is working in the IT project business, since 10 years in the area of Penetration Testing, Offensive Security and Exploit Research. 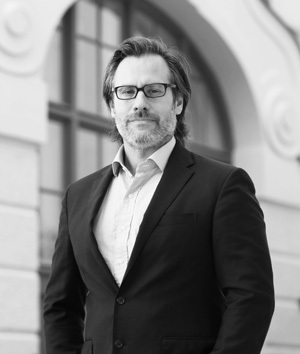 Dr. Thomas Feldkircher mainly deals with litigation in civil, commercial and economic criminal law and also carries out the associated legal advice. He also specializes in insurance contract and capital market law. In addition, he is admitted to the ecclesiastical courts as a lawyer. Rechtsanwalt Jochen Jüngst LL.M. ist seit über 10 Jahren als Anwalt tätig und vertritt eine Vielzahl von Mandanten aus der Erotikbranche gerichtlich und außergerichtlich, insbesondere zu den Themen Wettbewerbs- und Markenrecht, Urheberrecht, Daten- und Jugendschutzrecht. 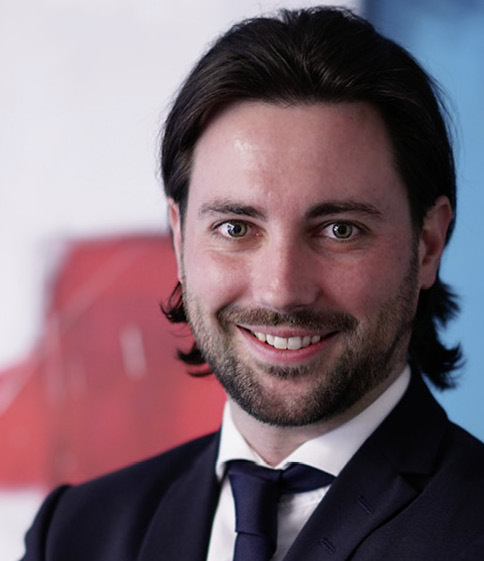 Stephan Wetzmueller is part of the payment industry for 10+ years. After starting his career at paysafecard in germany, he worked for several payment providers before starting his own businesses in 2006. providing processing options for the entertainment industry and being able to offer tailor-made solutions for merchants has been his passion. He is now breaking new grounds by providing the most innovative payment and exchange options for bitcoin and other cryptocurrencies to the entertainment industry. 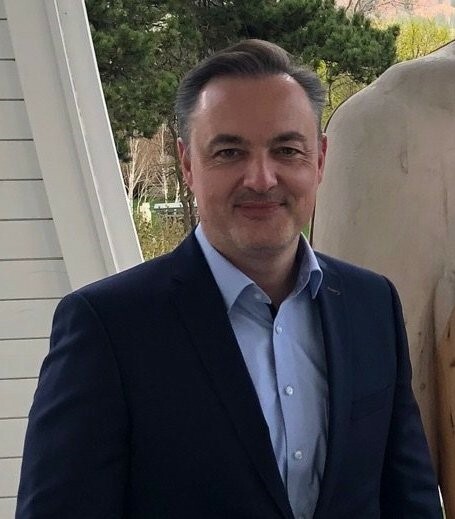 Binjamin Sancar is Management Consultant at the consulting firm BearingPoint GmbH in the area of strategy and digitalization in banking and capital markets. He is also responsible for service development and studies on distributed ledger technology and cryptocurrencies. 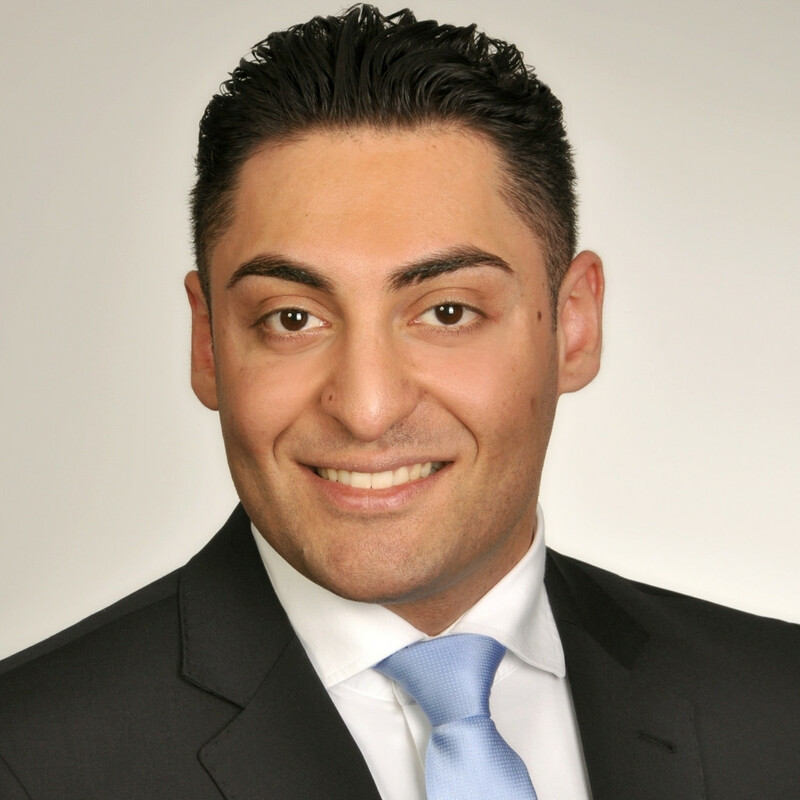 Furthermore, Binjamin has experience in the areas of private equity and asset management. He holds a Master of Finance degree from Hult International Business School, London, Shanghai and New York. 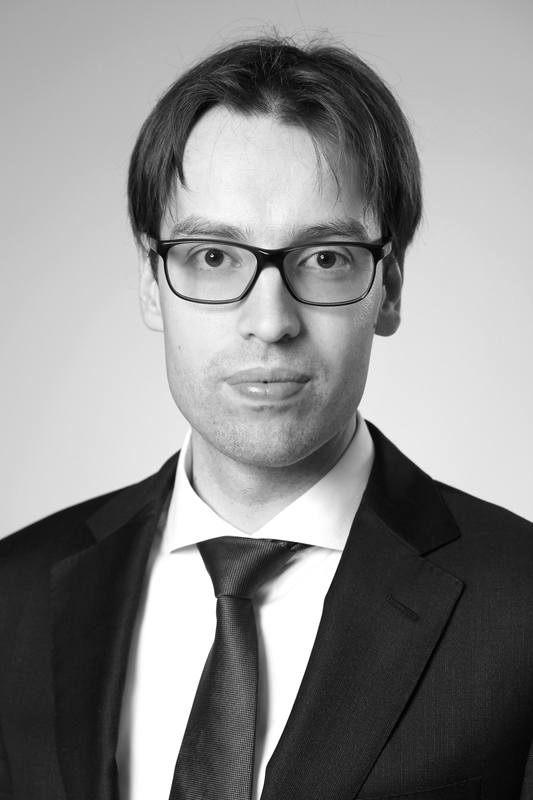 Now CEO at Sephir Blockchain GmbH, Nils has been a Trader of tradidional assets since 10+ years and cryptocurrencies since 2013. At Sephir GmbH he is developing and managing phenics.io, an investment fund under german legislation. Furthermore he is advising an AI-Project focussed on cryptocurrency markets and social financing. 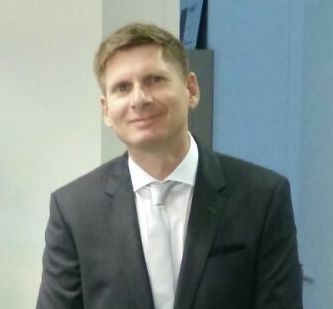 After successfully studying economic computer science, Thomas founded WebTrade.net GmbH in 1999, one of the first Payment Service Providers (PSP) in Germany. 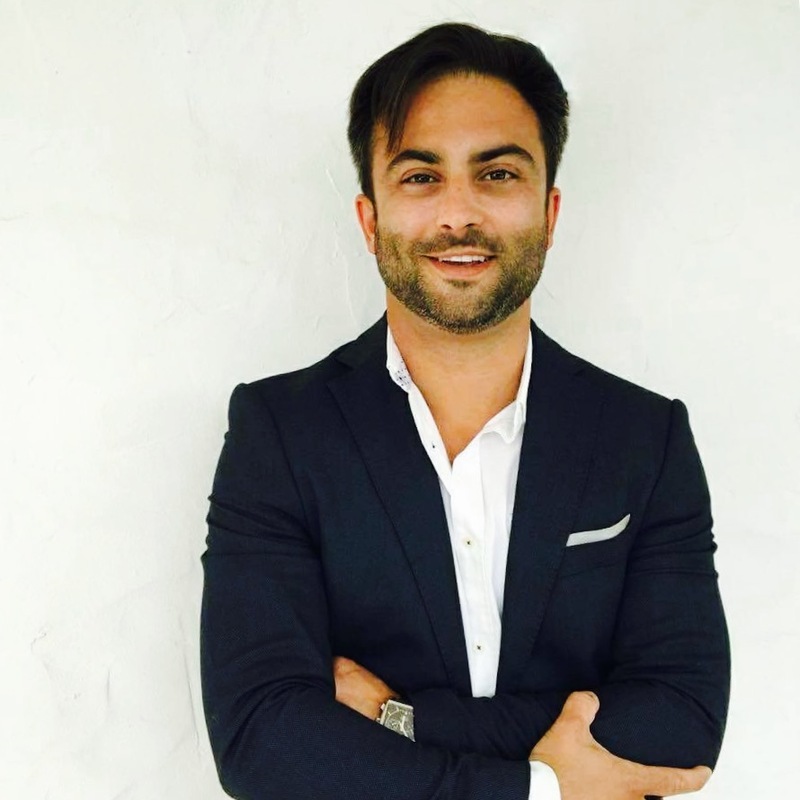 He is part of the payment industry ever since and involved in various Payment Technology and Internet Marketing companies and projects. In 2014, Thomas discovered the Crypto and Blockchain technology as his new passion and he is now actively developing Projects and Systems for BTC Express AG. Co-Founder & CEO at Cointelligence, a platform for monitoring and analyzing real-time crypto-economy market data. On is a serial entrepreneur and an angel investor with over 20 years of experience in the tech industry. On is an expert in the field of online marketing, with deep hands-on experience and knowledge of SEO, PPC and ORM. Sunil Bhardwaj is the CEO and Co-Founder of Globatalent. 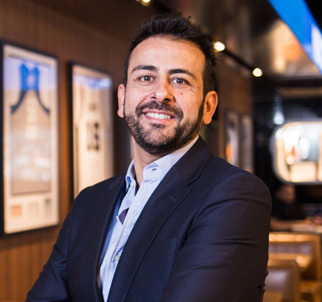 Sunil has over 20 years experience as general manager for basketball clubs at the highest level along with experience in the sports of Formula 1 and Soccer. He started his first successful company at the age of 23. 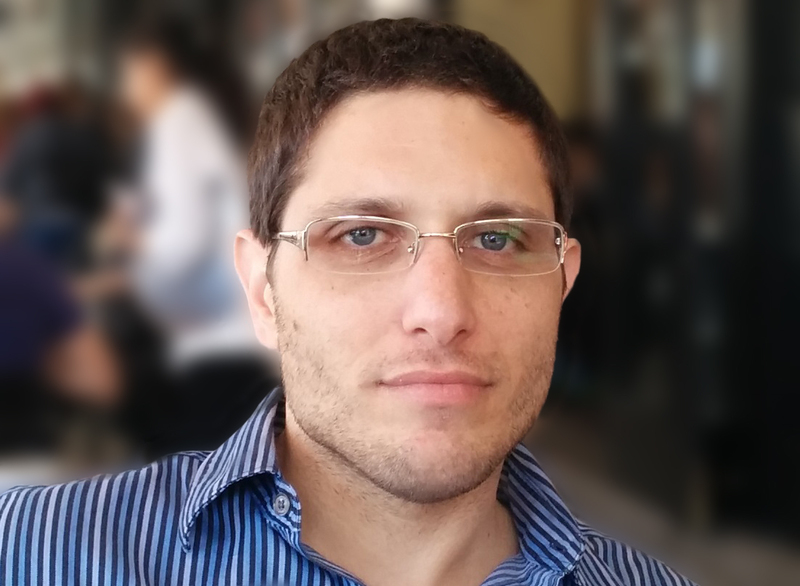 Jan Sammut is the founder and CEO of RefToken, the worlds first decentralised affiliate platform, as well as ICOMalta.com, a full stack ICO platform. 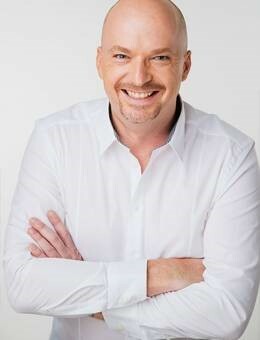 A marketer by profession, he has previously held executive positions at industry heavyweights such as IGT plc, Stars Group and Highlight Media Group. Jan is a fixture on the European blockchain conference tour and advisor to ICOs with market caps exceeding $1B.